For Google Cloud, 2019 meant a major change in the leadership. Thomas Kurian, a 22-year old Oracle veteran, is at the helm of the cloud business at Google. He succeeds Diane Green who stepped out after spending three years at the company. Google Cloud is an umbrella brand for the enterprise productivity suite, cloud infrastructure and platform offerings. 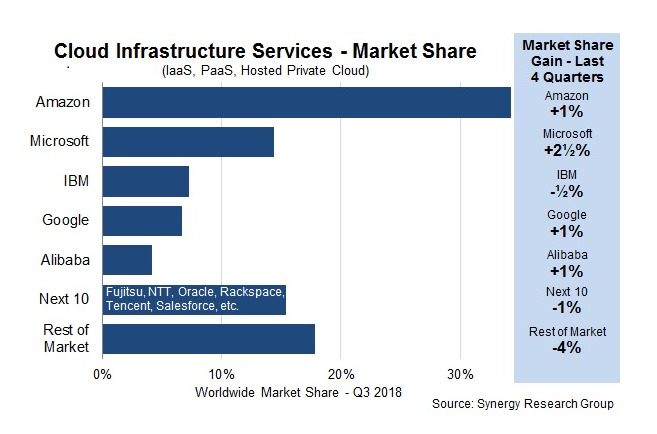 According to industry analysts, Google Cloud Platform (GCP) is at a distant 4th place from AWS which is leading the pack. Regarding market share, Microsoft and IBM occupy the second and third slot respectively. Despite having the right ingredients, GCP is not on the radar of enterprise decision makers. Though technologists give a thumbs up to the product offerings of Google, it barely ends up winning large enterprise deals. Google and its employees are obsessed with technology. 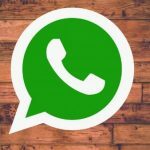 While this is undoubtedly a great differentiator, it eventually started to hurt the business prospects of the company in the enterprise segment. The core building blocks of Google Cloud are not inferior to the competitor offerings. Google engineers take pride in how they made the products faster and secure. Some of the services like Compute Engineand Kubernetes Engine are way ahead of its counterparts. The technology-obsessed culture of Google worked in the past with services such as search and digital advertisements. However, the persona of the target customer of cloud business is extremely different from those who buy search or AdWords. A case in point is the innovation in a machine learning accelerator technology called tensor processing unit or TPU. While this proprietary hardware from Google is touted to be a GPU killer, the company made no serious efforts in explaining how it benefits customers. While NVIDIA is killing it with GPUs, Google is not pushing the envelope. Most often, Google fails to effectively map the technology offerings to customer problems. The superior engineering efforts don’t translate to the business use cases. The marketing teams assume that the customers are technology savvy to appreciate the products and services. But in reality, decision-makers need to be told about the business benefits of adopting cutting-edge technologies. Thomas should make a conscious effort to change the tone and dialogue of Google that resonates with enterprise decision makers. The sales and marketing teams should emphasize the business value than explaining the technical features of the platform. Google positions itself as the next generation technology company. It wants customers to think what’s next than what’s current. The engineering and marketing teams have taken the ‘what’s next’ tagline so seriously that they want customers to embrace technology at the same pace of Google. But enterprises take years to make a minor change in their technology strategy. It took a decade for the industry to convince the CXOs of fortune 500 companies to embrace the cloud. Amazon is now reaping the benefits of this slow and steady strategy of educating and convincing customers to move their data and applications to the cloud. Google is reluctant to invest in technology products that are not futuristic and cutting-edge. For example, Compute Engine gets less attention than Kubernetes Engine. Even though Google is the founder and advocate of Kubernetes, the reality is that the customers are not ready for containers. They want to map physical data center to the cloud infrastructure by migrating one server at a time. Virtual machines may reflect the previous generation of computing, and they may be boring for Google. But, for enterprise customers, VMs represent the cutting-edge of the cloud. 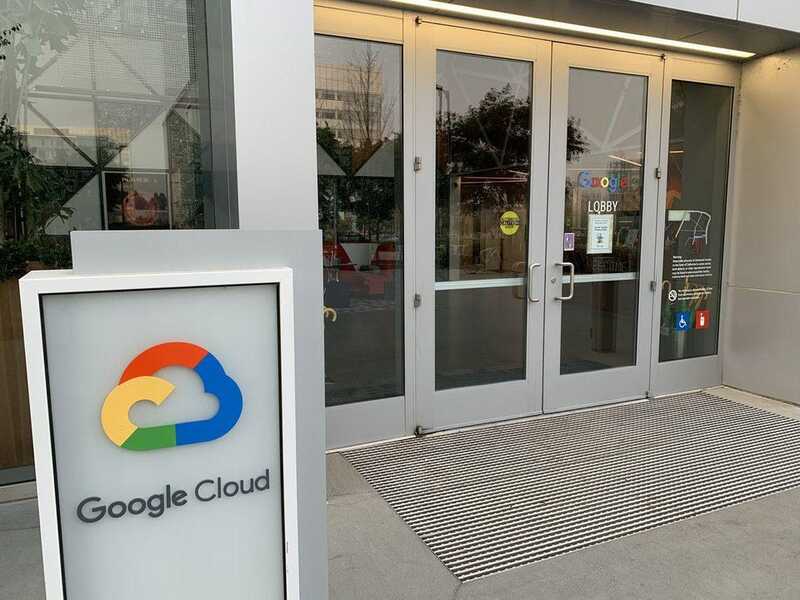 Another example of Google’s inertia in dealing with incumbent technology was evident in the launch of Google Cloud Dataproc service – a managed Apache Hadoop and Apache Spark platform. Google engineers believed that the world has moved on from Hadoop to a more advanced Big Data platform based on Apache Beam. The teams were more excited about Cloud Dataflow, a managed service based on Apache Beam. They were forced to announce Dataproc only after repeated requests from customers. Meanwhile, Amazon EMR and Azure HDInsight continued to see traction with big data workloads. With the majority of the enterprise workloads running on .NET and Java, Google Cloud should make it easy for customers to migrate those legacy applications. Although the support for Windows and .NET is built into GCP, it is not highlighted to the target segment. AWS and Azure continue to attract enterprise line of business applications. Though it’s boring, Google should focus on incumbent and current technologies than investing in forward-looking tech. Mr. Kurian should take a leaf from Oracle’s playbook to focus on now than next. Google is suffering from the same challenges that Microsoft faced in the last two decades. Some of the engineering teams are competing with each other instead of collaboratively building products. Due to the dependency on other teams and products, some of the GCP products and services are in perpetual beta. It’s important to make services generally available and start supporting them through SLAs. This will increase the confidence of customers. Google Cloud Functions – an event-driven serverless platform – was in beta for more than two years. During this window, Amazon added multiple capabilities to AWS Lambda making it the leading Functions as a Service (FaaS) platform. In the context of cloud, two years is way too long a window for a product to be in the preview. The other example is Google Cloud Machine Learning Engine – a machine learning platform based on mainstream ML frameworks. Though Google Cloud was the first to introduce a new category, it didn’t keep up the pace with competition and customer use cases. While Amazon’s SageMaker and Microsoft’s Azure ML have evolved rapidly, Cloud ML Engine leaves a lot to be desired. 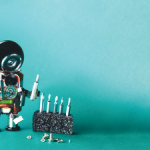 Ironically, Google is the founder of TensorFlow – a popular ML framework that Microsoft and Amazon are supporting extensively in their AI and ML platforms. GCP has failed to exploit the popularity of TensorFlow to drive adoption of its ML cloud. To match the velocity of AWS and even Microsoft, Google should decouple engineering teams to make them autonomous and independent. Google’s philosophy of ‘if you build it, they will come’ has worked for most of its products. It certainly made an impact in the past to make Google a leader in a few market segments. However, cloud business is very different from search and advertisement. What Google Cloud needs now is an army of technical product marketing managers and evangelists who can articulate the business value of its products and services. For every engineer, Thomas should hire two marketing professionals to get the message out. One of the reasons why IBM and Microsoft dominate the enterprise market is because of the way they enable and empower partners. AWS understood this tactic early in the business and announced a variety of competencies for system integrators and consulting companies. Google has to strengthen its partner play to win the enterprise market. When compared to Microsoft and even AWS, Google has lesser feet on the street. It’s absolutely essential to have Google’s representation in the public sector and enterprise markets to win the confidence of decision makers. 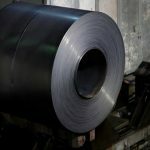 Thomas should double down on field sales to cover critical industry segments especially in Europe and the Asia Pacific. Under Diane Greene’s leadership, Google made several acquisitions. Continuing the trend, Thomas should keep an eye for strategic acquisitions that will enable the company to leapfrog into enterprises. With Microsoft investing in Azure Stack and AWS building OutPosts, the hybrid cloud market is heating up. Even though Google believes that their Kubernetes on-premises offering – GKE On-prem – would bridge the gap, customers are not ready for containers. They need a homogeneous stack that connects the data center with the public cloud. Google may want to evaluate Nutanix for an acquisition to get a foothold in the enterprise hybrid cloud market. The other important area to consider is digital transformation led by connected devices and applications. IoT and edge computing are becoming key to connecting existing assets to the cloud. Even though Google launched an IoT platform, it’s yet to match the feature set of AWS and Azure. Customers are waiting for the integration with Xively which Google acquired last year. This integration is expected to bring additional capabilities to Cloud IoT offering. 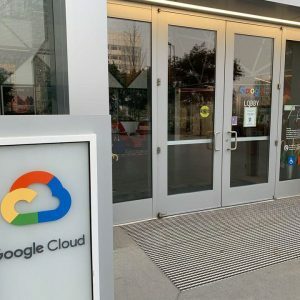 To match the momentum in the IoT and edge computing markets, Google should acquire an edge computing company that will drive the adoption of its data and AI platform. The next 18 months are critical for Google’s cloud business. IBM’s acquisition of Red Hat is going to give a push to its cloud platform, which is already positioned above GCP. On the other hand, there is Alibaba which is aggressively expanding its footprint to EMEA and the Americas. Kurian’s game plan should include a strategy to compete with IBM and Alibaba while inching closer to Azure.